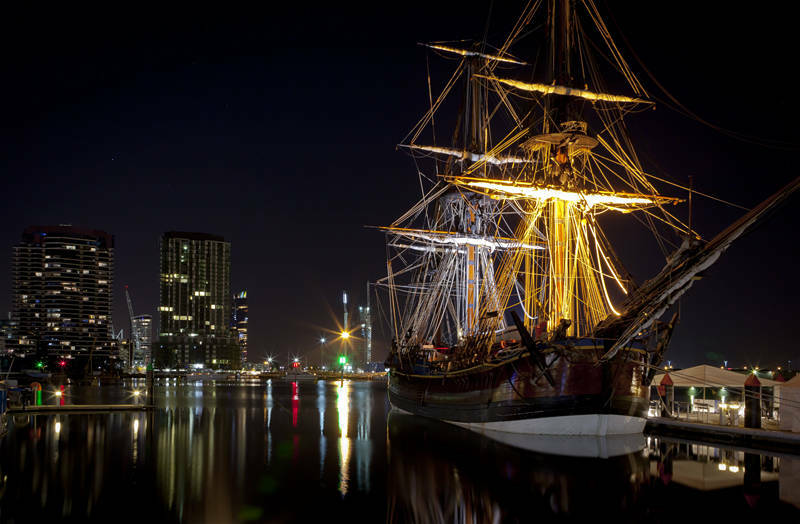 This is a replica of James Cooks Endeavour which was moored at the Central Pier of Melbournes Docklands. The nights are long these days in Melbourne and my new job has been keeping me busy. We went to see local band Bonjah on Friday night who are made up from people I work with. We were also impressed with their support act Mitch Davis & The Dawn Chorus who had come down from Queensland. I was tempted to take my big camera to the gig and post the results but as alcohol was involved I decided against it.